White, red and sweet wines for every moment of your life. Linear vineyards where organic cultivation is applied. In Greece and 12 other countries through a wide distribution network. In 1996, Constantina showed to Haridimos the vineyard of her family. This vineyard is located at the village of Pyrgos Kallistis, on the way to the monastery of “Profiti Ilias-Santorini”. It is situated 330 meters above sea level. The vineyard was abandoned for many years, as Constantina’s parents, George&Aikaterini Chrisou had left the island because of the earthquake in 1956 and had moved to Athens as many locals did at that time. Until 1996, the vineyard remained uncultivated. Haridimos was the first who took the decision to re-cultivate the vineyard and the rest is history. The vineyard was cultivated with Aidani which is an organic grape variety. When Constantina and Haridimos visited the vineyard, Haridimos spotted a cave at the end of it. “Over here, we can create a “Kanavaki”, he said. “Kanaves” is the local name for wineries. 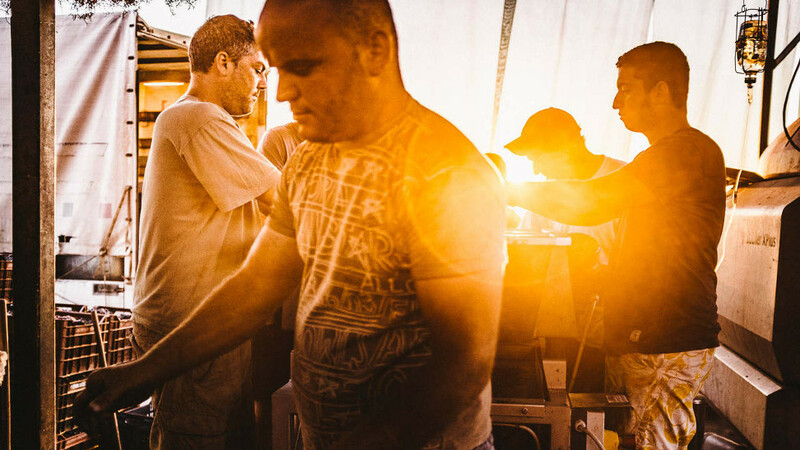 Thus, a small underground Winery started to shape which was built with patience, persistence, enthusiasm, passion, with “meraki” as we say in Greek and hard work. And the dream came true! In 1998, the first bottles of wine, vintage of 1997, were released from that new Winery. “Santorini” wine, vintage 1997, from the white grape variety Assyrtiko and “Mavrotragano” wine, vintage 1997, from the Mavrotragano grape variety of Santorini were the first two wines to be produced. Today, Hatzidakis Winery cultivates 100 acres of vineyards and most of them are organic. 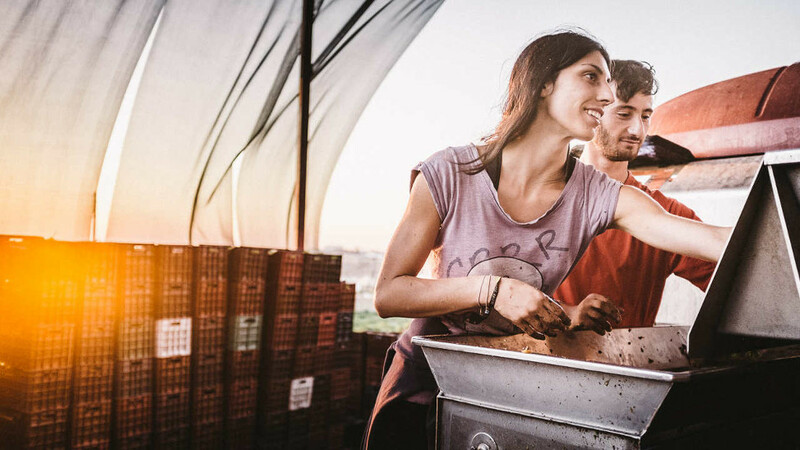 A photographic journey through the vineyards, facilities, people and products of the Hatzidakis Winery. 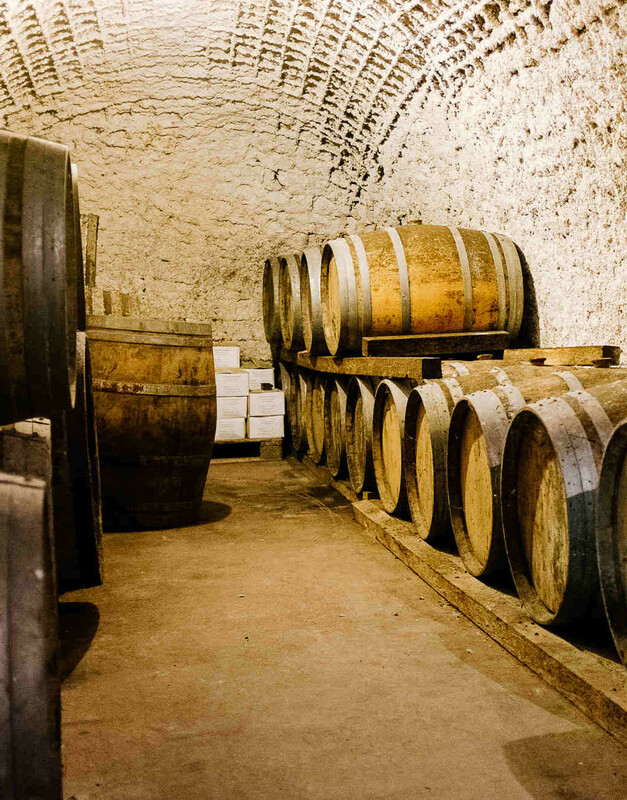 From the collection of the grapes and transferring them to the winery, to the fermentation and aging in barrels. 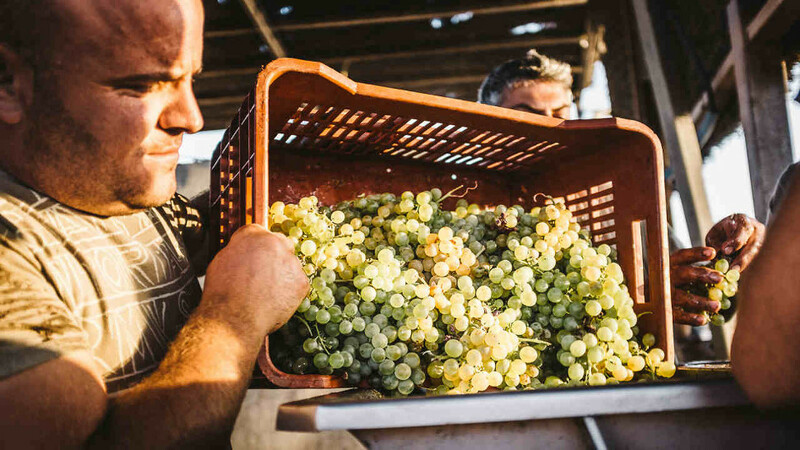 Learn more about the white and red winemaking in the Hatzidakis Winery. Due to a technical problem on the telephone lines, you can temporarily contact us at +30 6981107180.